This Leopard Print Onesie is great for anyone who loves Leopard Print. The Onesie is 100% polyester and is made of a luxury fleece fabric. It is sure to keep you warm and snug during the colder months. 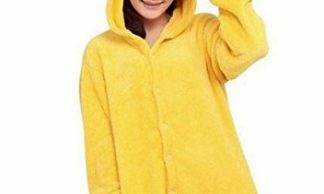 Warm And Snug Womens Onesie With Adorable 3D Animal Features.